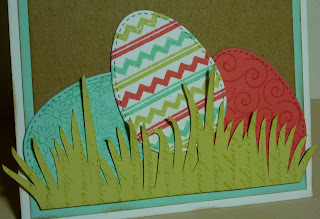 I just had to share another sweet little card I made with the latest My Creative Time goodies. This is a 4 1/4" square card, so it fits into an A2 size envelope. 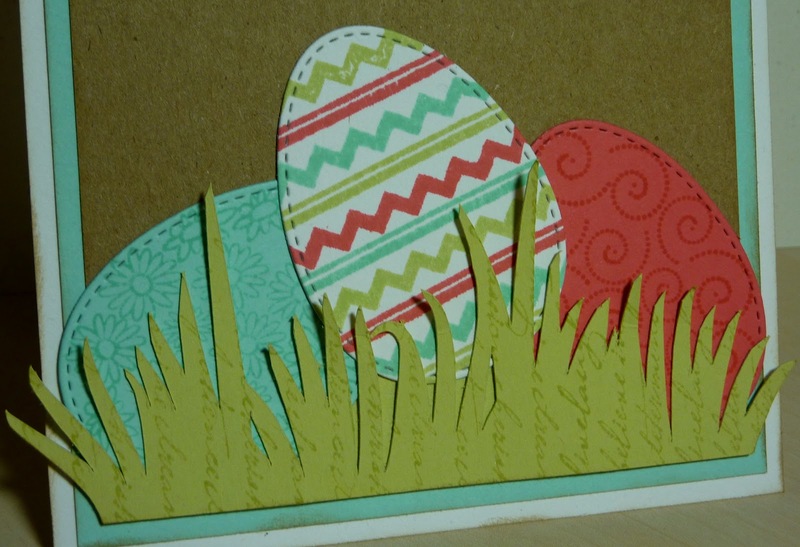 I cut my grass with my Cameo, using the Silhouette Studio Grass Border Cut at 2.165" (this made it the right width for my card). I thought it looked a little boring, so I added stamping with the My Creative Time Script Type Backgrounds. 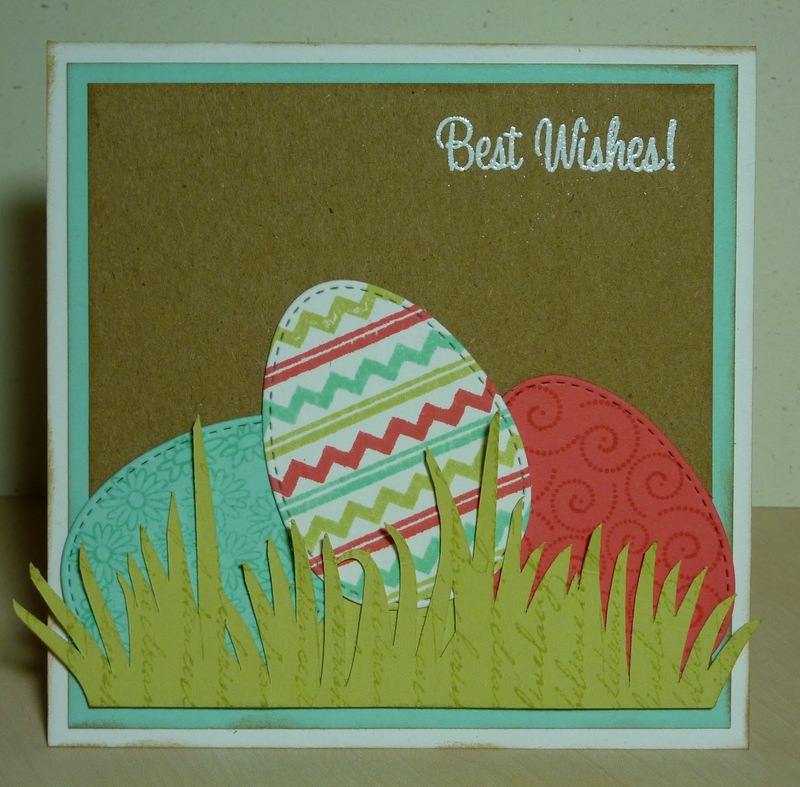 The gorgeous eggs were all made with the egg die and stamps from My Creative Time's Hello Spring. I love the versatility of this set! 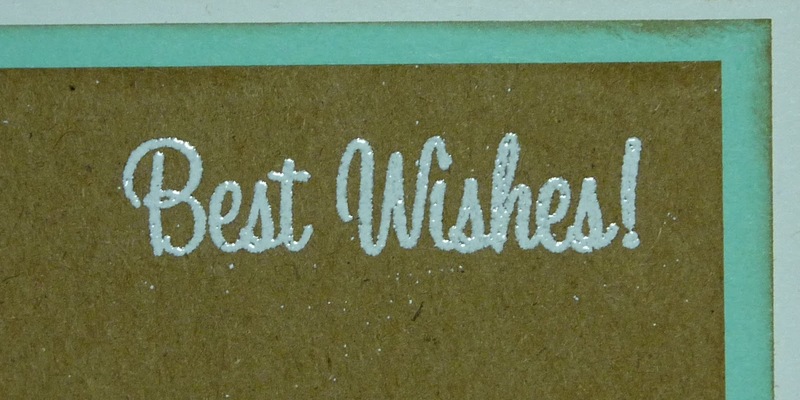 "Best Wishes" is also from Hello Spring. I heat embossed it with some white embossing powder. Very pretty, i can't wait for spring and i also can't wait for my stamps and dies to arrive!! I'm anxiously awaiting my spring release bundle. Sweet card. You're enjoying your new machine (toy). Beautiful card, Katie. And another great die and stamp set from Emma. She's amazing, isn't she? I'm glad you're enjoying your Cameo. Hi Katie! I love your card! It looks like your stamped image is embossed. I was wondering - Do you have a specific type of embossing powder you prefer? I have purchased a couple of white ones and the embossing isn't as smooth as yours. Any tips?